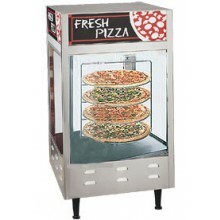 Keep your hot snacks, sandwiches and pizzas tasting and looking their best! 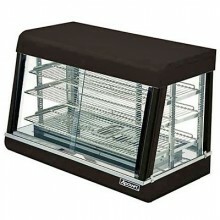 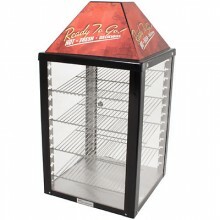 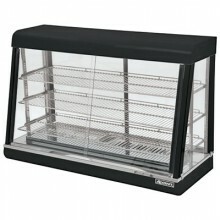 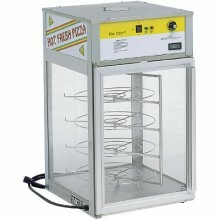 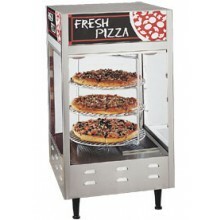 Our hot food merchandisers offer the ideal way to display your cooked foods and maintain their quality simultaneously. 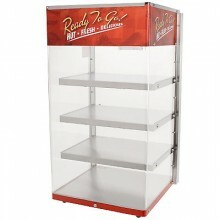 These cabinets are perfect for grab-and-go impulse sales and work well for a variety of products. 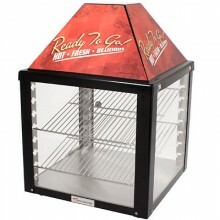 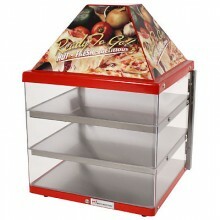 Some merchandisers are specifically designed for pizza with round rotating racks and humidified cabinets, while others offer slanted slides for ideal for breakfast sandwiches or burritos. 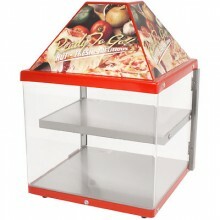 No matter the product, these displays will help increase sales by putting your products where customers can see and access them easily.